Four local primary school students have won prizes in a regional poster competition, while two primary schools claim the winning school prizes. 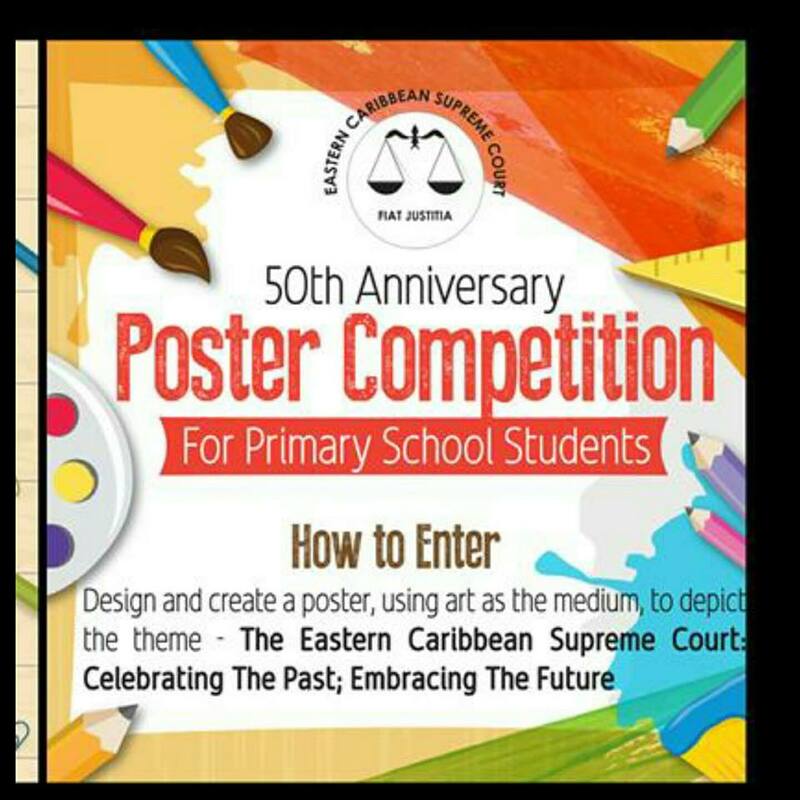 The Essay and Poster Competition was held as part of the celebrations marking the 50th Anniversary of the Eastern Caribbean Supreme Court. While no students from the secondary school entered the essay category, students from the local schools submitted entries in the poster competition. They were required to design a poster to depict the theme “The Eastern Caribbean Supreme Court: Celebrating the Past, Embracing the Future. Supreme Court Registrar Collin Meade said special mention was given to the St Augustine Catholic Primary School which submitted 35 entries in the Poster Competition. Jasmine Gilford a Grade 3 student at St. Augustine Catholic was first place in her category with Aulauni Andrew of Grade 2 at St. Augustine Catholic Primary in third place. St. Augustine Catholic Primary gets the prize for winning school in Category 1. Ramiah Zuriel White a student at Brades Primary School was first in Category 2 and Haylie Shai Kassie, a Grade 5 student at St. Augustine Catholic Primary in third place. Brades Primary School gets the prize for winning school in Category 2.